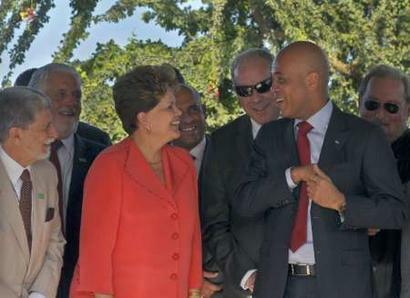 Brazilian President Dilma Rousseff’s recent visit to Havana could easily have been a tense one. On Thursday, January 19th, jailed Cuban dissident Wilman Villar died in a prison hospital under murky circumstances, while Brazil recently granted a visa to well-known online journalist and longtime Castro critic Yoani Sanchez to leave her native Cuba and attend a documentary film premier in Brasília. Rousseff avoided publicly criticizing the Castro administration when pressed by reporters on what the Cuban opposition calls human rights abuses, instead referencing the human rights record of the United States in regard to the Guantanamo Bay military prison. 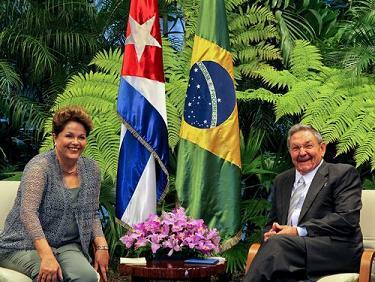 However, she seemed perfectly happy to discuss Cuba and Brazil’s burgeoning economic partnership, which has grown significantly in recent years. The renovation and expansion of Mariel, a key port near Havana, represents the latest manifestation of the aforementioned partnership between the two countries. Brazil has provided USD 683 million in loans to the Cuban government for the project, which is spearheaded by Brazilian construction firm Odebrecht. Brazilian officials have also signed a 10-year agreement to help modernize Cuban sugar company Azcuba’s sugar mills in Cienfuegos. Brazil has given Cuba another USD 400 million in credits to buy Brazilian agricultural projects and USD 200 million more for tractors and other agricultural equipment. These loans are crucial for Cuban agriculture, which is struggling to expand and modernize, and are essentially stimulus packages for Brazil in the sense that they will pour money back into the Brazilian economy. Rousseff defined this collaboration as a “historic commitment” to “help the progress of economic development” in Cuba, which continues to endure the U.S. trade embargo. Continuing her Caribbean tour, the Brazilian president headed to Port-Au-Prince later in the week. Her delegation’s meeting with the Haitian government will focus on the refugees that have fled to Brazil since the ruinous Haitian earthquake in January 2010. Those leaving the country without official visas expose themselves to the caprice of human traffickers, nicknamed ‘coyotes’, who have little regard for their safety or well-being upon arrival to their destination. Many in both Brazil and Haiti expect that Haitian immigrants, with their lack of Portuguese language and basic skills, will flock to the favelas of Brazil’s urban centers and become trapped in the ongoing cycle of poverty and crime. Earlier in the week, the Brazilian government announced that it had set aside USD 500 thousand to aid the roughly 4,000 Haitian refugees who have settled in Brazil and been granted permanent residency during the two years since the quake. Brazil’s Ministry of External Relations also has promised to issue 100 visas every month for Haitians travelling to Brazil. The Haitian ambassador to Brazil, Idalbert Jean-Pierre, has extolled these efforts to accommodate Haitian immigrants. In addition to providing sanctuary for a significant number of refugees as a short term measure, Brazil has begun construction projects aimed at getting Haiti back on its feet. Brazilian firm Odebrecht is expected to help rebuild damaged infrastructure in Port-Au-Prince and elsewhere, while Brazil has also pledged its assistance in building a new power plant on the banks of the Artibonite River, about 60 km from the capital. The plant will generate 32 megawatts, providing electricity for over 250,000 homes. Brazil’s recent exploits in the Caribbean are intriguing. By aligning itself closely with Cuba’s economic interests and providing extraordinarily generous support towards Haitian reconstruction, Brazil has tacitly challenged the United States’ influence in its own back yard. Brazil has not only become an important partner for many American states, but also enjoys good relations with countries that the U.S. simply cannot cooperate with, such as Cuba and Venezuela. Much like Turkey, which played a crucial mediating role during and after NATO intervention in Libya last year, Brazil’s increasing diplomatic authority in Latin America could consolidate its role as a regional arbitrator and peace broker. 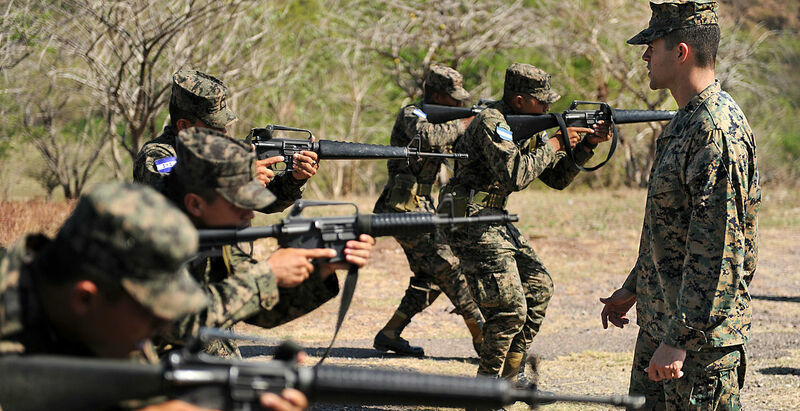 While the U.S. focuses intently on Afghanistan and the surrounding region, Brazil is rapidly establishing itself as Latin America’s big brother and protector.